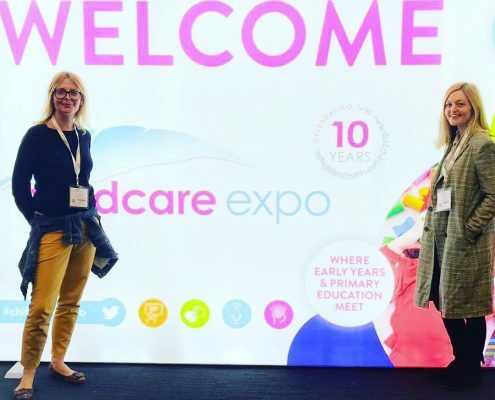 This was the first year in which we had attended the Childcare Expo and so we were excited to see what was in store for us. The venue was easy to get to and accessible and the email correspondence leading up to the event was great at ensuring we were adequately prepared for our arrival and registration and entry were seamless as a result. As soon as we entered, the hustle and bustle of the day was infectious and so after a quick refuel in the handily located café, we began to explore. We were overwhelmed with the vast array of exhibitors at the show; we recognised and caught up with some familiar faces, like our friends at PACEY, whilst also making new connections with exhibitors and organisations we hadn’t met before. There really was an incredible range of things on offer, not just resources and things to buy to enhance the setting, but also a huge range of professional organisations to talk to and discuss other aspects of the business with too. For us as childminders, with a smaller budget than some larger settings, we sometimes attend events such as these knowing that there will be things on offer way out of our price range, but the diverse mix of exhibitors, all with their own varying price ranges and resources on offer were a really welcome addition to the expo and there really was so much choice for those on a shoe-string budget. Whilst at Childcare Expo, we also attended a seminar each too. We were really impressed with the range of seminars on offer, but also how reasonably priced they were, booking was quick and easy and we advise anyone who attends to book in advance because we witnessed first-hand how busy the seminars can get. The seminars we attended were fantastic and have really informed and inspired our practice as a result; particularly Melanie Pilcher’s seminar regarding the proposed ELG’s, this seminar was full of not only fantastic information, but also some brilliant debates. Childminding can be an isolating career, especially if you are lone working. Unlike if working in a pre-school or nursery where there is greater support such as training, HR/Management. 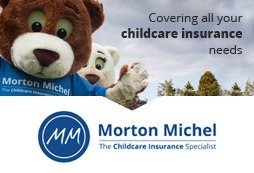 So we feel it’s really important to have conferences and events such as the Childcare Expo to network, update CPD and keep abreast of factors effecting the sector. Overall, we had a wonderful day at Childcare Expo London; networking, shopping and learning. Thank you! Registration officially OPEN for Childcare Expo Manchester Are you a healthy role model for children?